Got a minute…got a blog…check out this cool site. You can add this human calendar to your blog. Unfortunately, wordpress is not as functunal as other blogging platforms – so I can’t install it. If you are REALLY bored…try the big red button. Don’t yell at me if it makes you mad. Want to make fun of yourself? Go to Yearbook Yourself and upload your photo. Go through the years and see what you could have looked like (or maybe you still do – ha!). Create your own snowflake here. Pop bubblewrap here. Seriously, I’m not kidding! If you need some help getting ready for an upcoming scrapbooking retreat – ready girls? Check out Got Sketches blogspot for layout ideas. 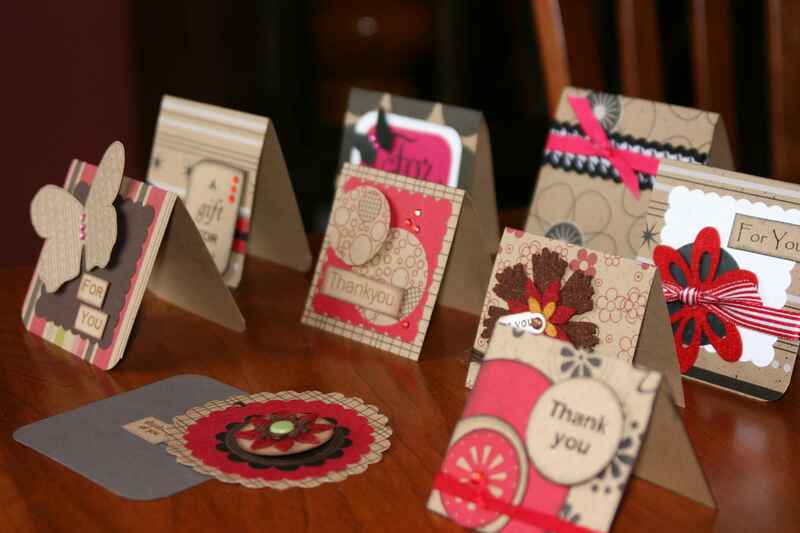 I recently attended a Stampin’ Up party at my friend Heather’s house. Her friend Andrea started selling it this year and had lots of great ideas to share. We had fun making some cute cards and goodies. I also bought way-too-much-stuff!! I will share that I will be giving away one of the goodies I bought soon! I thought I would share a couple of mini cards that we made. Simple, but cute. These really focus on the stamp. We had fun with chalks and glitter! 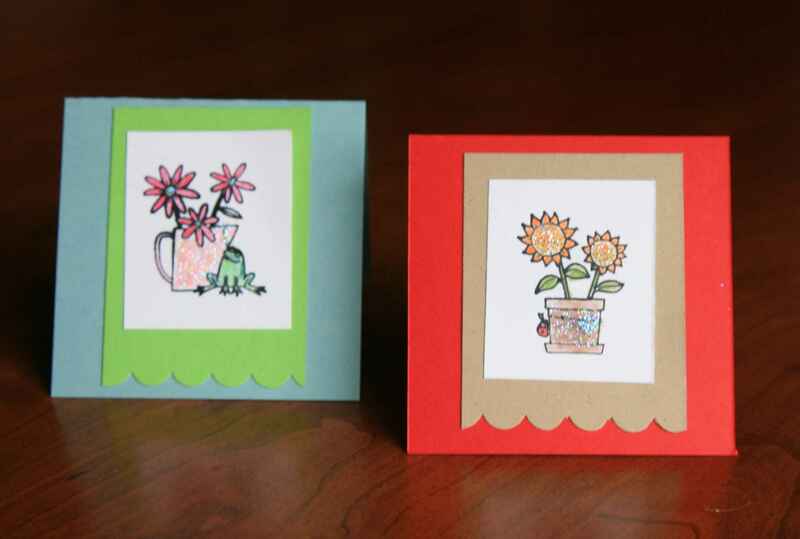 I decided to make some mini cards or gift cards with some Jillibean Soup products. Most of these I will use with gift bags, presents, short-notice gift or with a gift card. I always need cards around and these are perfect.